For those who are enamored with the magic that salt can work on the air, body and in terms of cleansing the spirit, salt rooms, salt caves and salt saunas are often desired. While these often take a significant degree of planning, those who have any of these elements in their home or nearby spa are granted the continuous magic of the salt of the Himalayan mountain range anytime—and to the full effect. Salt caves are a staple of fine spa hotels throughout Europe and elsewhere and are increasingly being brought to individual homes and other facilities. The benefits of salt caves are the same that someone might experience with a salt lamp—but with far magnified features. For instance, salt caves are used to relieve stress, relax the body and spirit, and cleanse as well as reportedly to treat a wide range of skin and other conditions. A salt cave is literally a small man-made cave surrounded by thick walls of pure, fine salt often from the same salt mines in Pakistan that our lamps are derived from. The temperature is moderate—the same as any normal room, and the salt can be felt against the feet or with the hands. Those who visit a salt cave are literally alive in a room of salt—in some cases a fine mist of saline water is sprayed to cleanse the air, skin and release health-imparting effects. Salt rooms are very much like salt caves but on a smaller level and possibly without the mist of saline water. In these rooms, the salt forms bricks, which are the walls, and the person sits in the well-lit room where the salt has purified the air and the moisture temperature controls cause the salt to be released in the air. Salt saunas magnify both the benefits of the salt and the benefits of a sauna by offering a room like a salt cave or salt room, but with the additional factor of heat. It is this heat that acts as a natural ionizer, allowing the visitor to experience the dry heat with just enough moisture to keep the air flowing and filled with the precious salts. 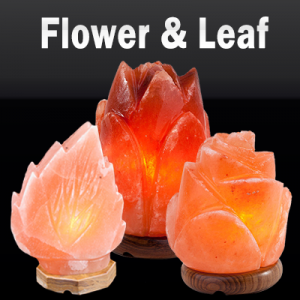 For those who wonder what it is like to experience a salt room, salt cave or salt sauna, simply imagine all of the benefits you can get with a pure Himalayan salt lamp, magnify those benefits many times over, and place yourself in the lap of luxury. The Europeans and other ancient cultures have long understood the healing and relaxing properties of rooms of salt and have shared this wisdom over the centuries.